By popular demand, it’s back to Las Vegas for the biggest, best show of the year. Thousands of dealers and their employees, vendors, manufacturers, and other automotive professionals are flocking to the Entertainment Capital of the World for the 2016 National Automobile Dealers Association (NADA) Convention & Expo. The wait for this year’s NADA has been longer than ever to accommodate the venue switch to Vegas, but it’s sure to be worth it. Expect this year’s convention to feel celebratory, coming on the heels of an all-time record sales year in 2015, with more than 17.4 million light-vehicle sales topping the previous peak year, 2000. Sales have been brisk to date in 2016, with forecasts suggesting another record-breaking year for new vehicle sales. Business, for the most part is good, but everybody attending the convention wants it to be even better. That’s where the NADA Convention comes in. 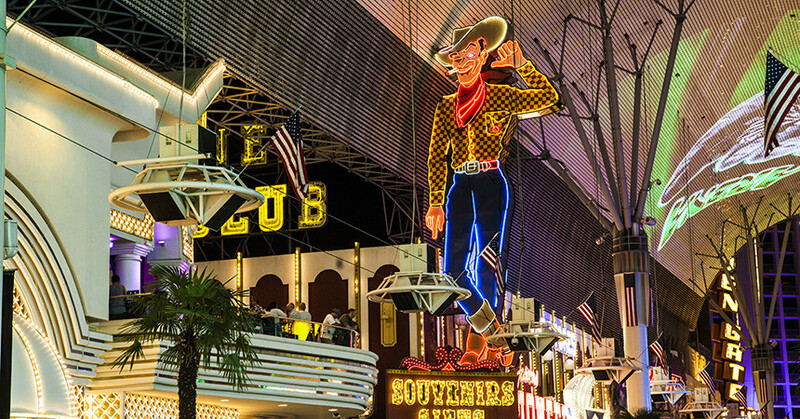 From workshops to franchise meetings, roundtables to networking, general sessions to exhibitor booths—and much more—the convention offers a Vegas-style smorgasbord of ways for automotive professionals to learn, share ideas, and connect. Many of the discussions at NADA will involve technology in one form or another. The business of selling new vehicles is a perfect breeding ground for innovative technology solutions, and 2016 promises to showcase some of the most dazzling yet. Expect to see major advancements in leading-edge technologies such as virtual reality and artificial intelligence alongside an increasingly sophisticated array of tools and services for all aspects of a dealership’s business. To help you know which booths are a must to check out at the exhibition, we’re featuring six Must-See Vendors on the following pages—companies that you owe to yourself to check out in the Expo Hall. These companies will be happy to demonstrate how their products and services will improve your dealership operations and increase revenue. 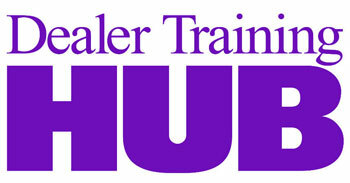 Don’t forget to come see us our Dealer Marketing Magazine booth in the North Hall, Booth #5973. In a relaxing, lounge-like setting, we’ll be handing out copies of the magazine, providing free digital subscriptions, hosting a contest to win a free two-month communication services package from Recall Masters, and unveiling our new auto dealership training portal, DealerTrainingHUB.com. It’s simple. Autobytel helps you sell more cars. Founded by a former dealer over 20 years ago, Autobytel has since generated nearly 60 million high-quality leads for the automotive industry, resulting in millions and millions of vehicles sold. Autobytel’s full suite of award-winning lead products, mobile technologies, next generation video chat, car-payment tools, advertising solutions, and sales-enhancing products help your dealership drive leads, improve customer service, and increase sales. Autobytel and You—the Dream Team! Leads. Mobile. Advertising. Sales. Visit dealer.autobytel.com or mobile.autobytel.com. Call or text (866) 589-5498. Email ScottP@autobytel.com. We built AutoPoint to defy the assumption that marketing, service execution, vehicle registration, and motorist engagement are all separate tasks. We joined shop efficiency solutions with data-driven marketing strategies and electronic vehicle registration to create a complete life cycle of excellence. Everything we do is about empowering relationships. We believe that businesses and customers should thrive together in a mutually beneficial relationship that just works for both parties. It’s really all about loyalty delivered through a memorable, lasting, peerless, profitable experience. The way we create loyalty is by making products that are value focused, science-based, and simple to use. Extraordinary, innovative, intuitive, integrated vehicle ownership solutions; it’s what AutoPoint’s all about. Come visit the Conversica booth at NADA! Conversica will be demonstrating its renowned AI-based Sales Assistant, used by hundreds of dealers to engage their leads and drive more customers into the showroom. The company will also be unveiling its new Automotive Service Assistant, which keeps service customers tied to the dealership throughout the ownership cycle, and lets service people focus on providing excellent service instead of chasing dead leads. Everyone who participates in a demo of either product will receive a free travel golf putter set, and will be entered into a daily drawing for a Big Bertha driver. So stop on by! We are DealerSocket. We create and deliver a technology platform to the automotive industry. We offer CRM, DMS, Websites + Digital Marketing, Sales + Marketing, Inventory Management, Service, and Equity Mining. At NADA 2016, we have a full slate of enhancements in store: website/CRM integration; enhancements to Desking including mobile presentation; resource service scheduling; group appraisal tools; new equity-mining queries; and mobile equity mining. Drop by Booth #2477C for refreshments, lounge, concierge, recharge stations, support, account management, and VIP gifts for all current customers. Schedule your demo today to see true integration in action. Outsell, which drives more revenue for auto dealers by transforming how they engage customers and prospects throughout their life cycle, will showcase several new solutions and enhancements on the Outsell Fuel platform. Outsell Service campaigns for Campaign and Conquest help attract new customers, strengthen loyalty, and amplify results across key profit centers. Also, Outsell now integrates with Google Analytics, giving auto dealers enhanced Web analytics tracking and additional insights into marketing campaign effectiveness. Outsell will reveal Polk Matchback results for Outsell BuyerScout. BuyerScout identifies opportunities to close more new business for dealers. The new study shows that almost 20% of customers identified with BuyerScout went on to purchase a vehicle. At NADA 2016, VinSolutions will introduce three new solutions to its Connect CRM. Target Pro offers expanded data mining capabilities that enable more effective sales and marketing activities. VinLens, a powerful Web activity tracker, now integrates Connect CRM with Dealer.com websites to give dealers the ability to identify new prospects and new opportunities online And new Enterprise Reporting provides customizable tracking of dealership operations across multiple departments and rooftops in a single view. 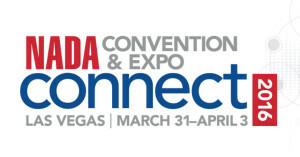 Visit VinSolutions at NADA (booth #1323C), or visit vinsolutions.com for more information.